More on climate later — let's start with the basics. It's mid-summer and the Gulf of Mexico is hot. 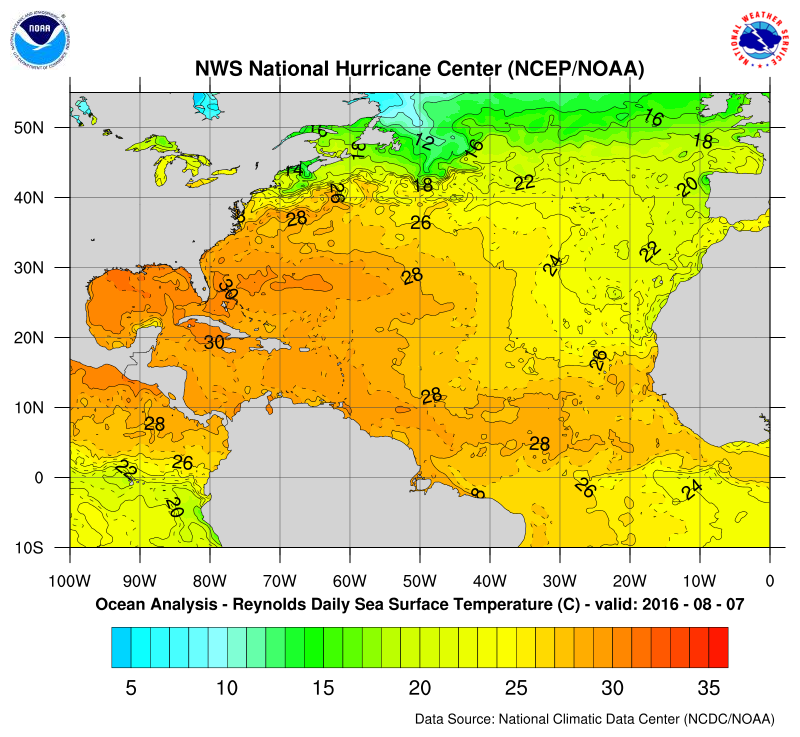 Last week, sea surface temperatures in the eastern Gulf skirted an all-time record high of 32C; up to three degrees warmer than usual for this time of the year. Put heat and water together, and you get evaporation. The dew point, or temperature at which water vapour condenses, has been hovering oppressively close to the temperature of the ocean itself, meaning water is simply pouring into the atmosphere. Weather Underground meteorologist Jeff Masters noted that "precipitable water" — the amount of water in the atmosphere from the surface to the jet stream — was in the top percentile of historic values along the Gulf Coast last week. Meteorologist Eric Holthaus noted that a weather balloon measured near-record levels of moisture over New Orleans on Friday. High temperatures and high humidity create the ideal environment for very wet storm systems to develop, and last week nature obliged. "This isn't a terribly atypical pattern," Mark Hoekzema, chief meteorologist at Earth Networks, told Gizmodo. "This time of year, tropical easterlies give us these tropical waves that march across the Caribbean, drifting northward onto the US coast." Hoekzema explained that when a few of these low-pressure air masses crossed Florida and entered the Gulf Coast region last week, they essentially became trapped. 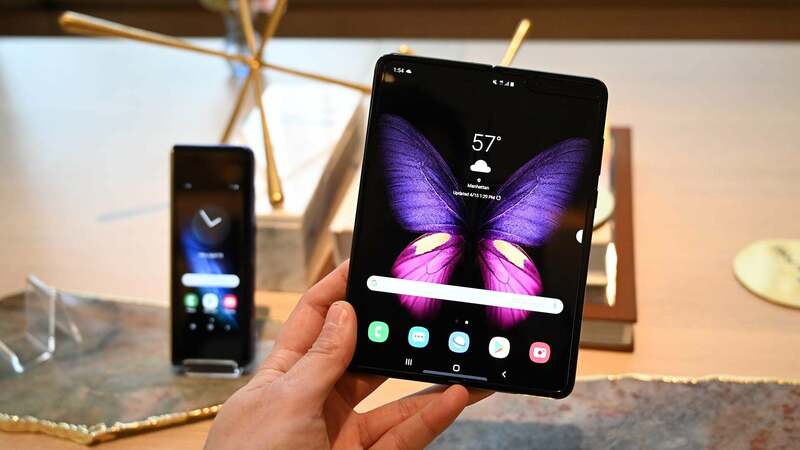 "You had a couple of these systems stall out on the Gulf Coast," he said. "With very slow movement, you can get excessive amount of rain." While technically not a tropical cyclone, the storm system shared some physical characteristics with hurricanes, including counter-clockwise rotation that allowed it to pull loads of moisture inland from the Gulf of Mexico. 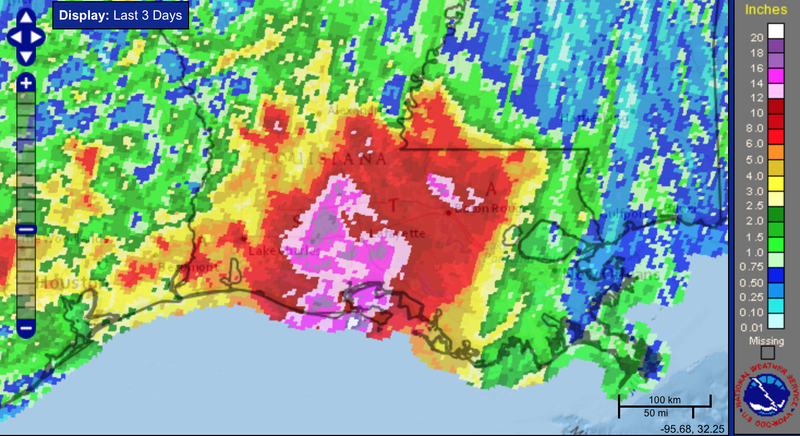 The result was a volley of torrential downpours — up to several centimetres per hour — with some parts of Louisiana clocking 24-hour precipitation totals that exceed the 500 year recurrence interval. We're talking levels of rainfall that, statistically speaking, occur every thousand years or so. All in all, between last Tuesday and this morning, neighbourhoods around Livingston and Baton Rouge saw more than 60cm of precipitation. The especially hard-hit community of Watson picked up more rainfall in the past few days than Los Angeles has seen since 2012. With torrential rain came flooding. Rivers in southeastern Louisiana rose rapidly on Friday and over the weekend, with at least nine river gauges setting new record highs. 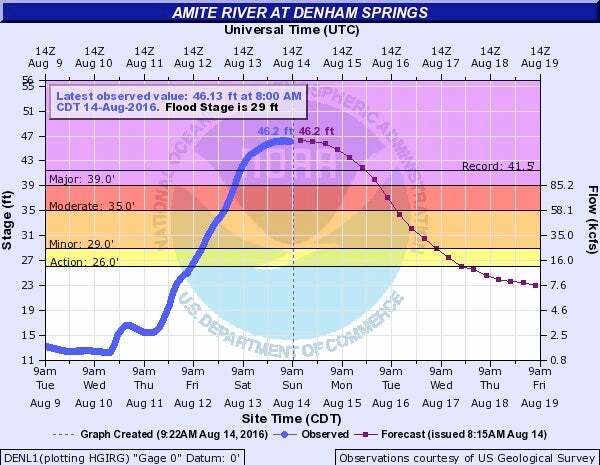 In Denham Springs, the Amite River gauge bested the historic high set during a 1983 flood event by more than 1.5m. As neighbourhoods were inundated, tens of thousands of residents were forced to evacuate their homes. While the weather is now improving, certain flooded river sections weren't expected to crest until later today. 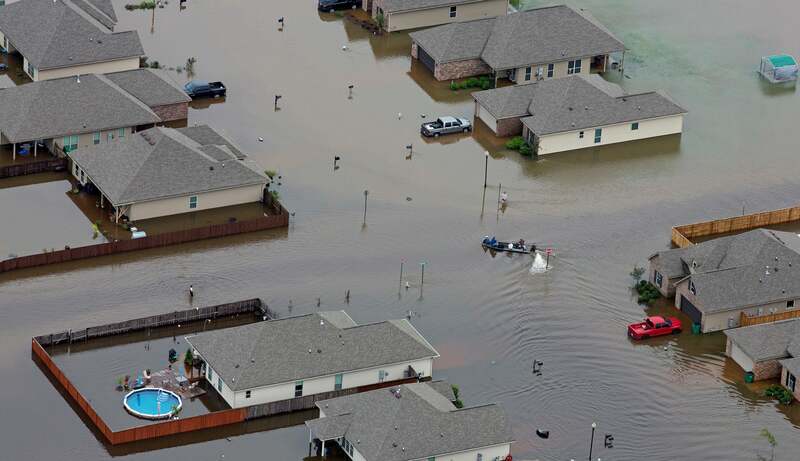 "We are not in control as far as how fast these floodwaters will recede, and in fact they are still going up in some places," Louisiana state governor John Bel Edwards said. The situation is no doubt exceptional — but the flooding in Louisiana is also a clear example of something we can expect to see more often as greenhouse gases heat up our planet's atmosphere, allowing it to hold and dump more water. As an analysis by Climate Signals notes, the United States has seen a 20 per cent uptick in the amount of precipitation falling in the heaviest downpours over the past century. Torrential, single-day storm events are on the rise, particularly in the southeastern United States, where the frequency of extreme rainfall has risen nearly 30 per cent since the late 1950s. Meteorologists like to say that no single weather event can be tied to climate change. But in year that has brought a historic, $US22 ($29) billion dollar flood to eastern China, a 1000 year rainstorm to Baltimore, and some of the worst flooding Texas has ever seen — not to mention extreme heat waves and megafires galore — it's hard to ignore the fact that the statistical realities of weather are changing.